« Can America Reclaim the Dream? 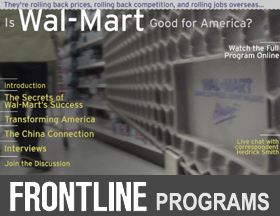 The former Times Washington Bureau Chief has gone on to publish five books and produced more than 50 hours of long-form documentary television. His most recent book, “Who Stole the American Dream?” , which came out in September 2012, landed on The New York Times national bestseller’s list, while remaining a best seller in a number of cities. Another highly successful book of his was “The Russians’’ , based on his years as New York Times’ Moscow Bureau Chief from 1971-74, which smashed the charts as a No. 1 American best-seller. It has since been translated into 16 languages and has been widely used in university and college courses. 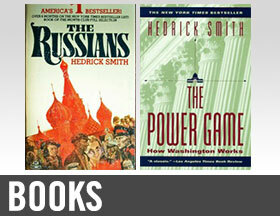 That book was followed by yet another national best-seller, “The Power Game: How Washington Works’’ , an influential political masterpiece considered a bible for newly elected members of Congress and their staffs, and became bedside reading for President Clinton, a master politician in his own right. 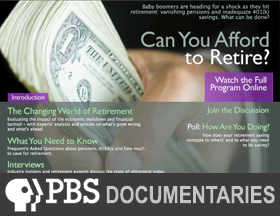 For PBS since 1989, Smith has created 26 prime-time specials and mini-series on such hotly debated and much discussed topics as terrorism, Wall Street, Soviet perestroika, Wal-Mart, Enron, tax evasion, educational reform, health care and Washington’s power game. Two of his Frontline programs, “ The Wall Street Fix’’ and “Can You Afford to Retire?’’ won Emmys, while two others, “Critical Condition’’ and “Tax Me If You Can’’ were nominated. Born in Kilmacolm, Scotland and educated at The Choate School in Wallingford, Connecticut Smith’s first newspaper reporting job was with The Greenville (S.C.) News during the 1950’s. After graduating from Williams College (where he earned a B.A. in American history and literature), doing graduate work as a Fulbright Scholar at Oxford University, and serving three years in the U.S. Air Force, he landed at United Press International in Memphis, Nashville and Atlanta from 1959 through 1962. He was hired by The New York Times in 1962 where he remained until 1988. While working for theTimes, he was chosen for a prestigious Nieman Fellowship at Harvard in 1969-70. This entry was posted on Friday, February 1st, 2013 at 9:31 pm	and is filed under Uncategorized. You can follow any responses to this entry through the RSS 2.0 feed. Both comments and pings are currently closed.